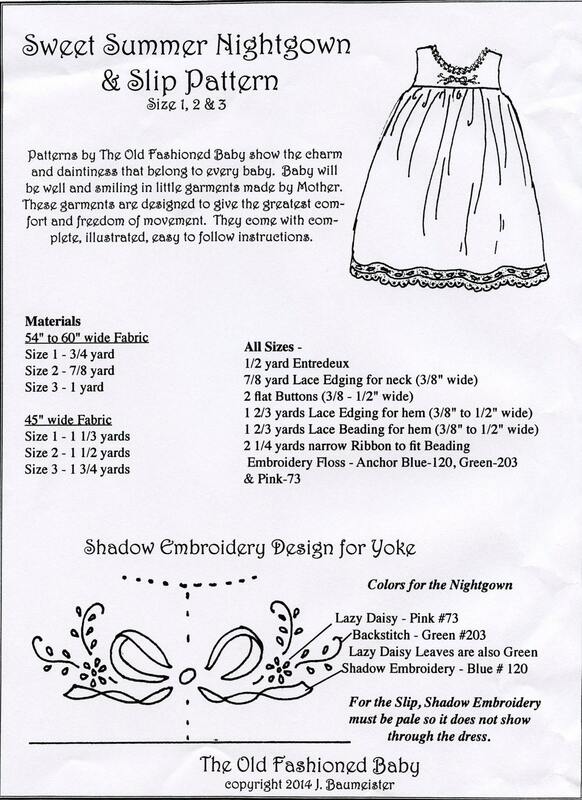 Sweet Summer Nightgown and Slip Pattern is a high Yoke Toddler pattern which comes in sizes 1,2,3 included in one package. 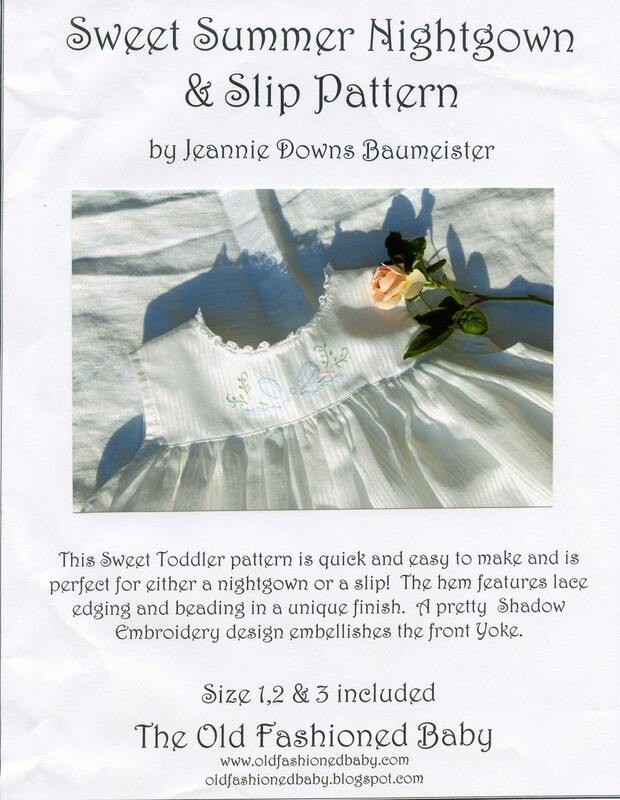 This pattern makes a wonderful Summer Nighty with the Shadow Embroidery Pattern included or a design of your own.. It is also perfect for a pretty slip to go under little Dresses. The instructions include a very new way to attach lace at the hem which leaves no raw edges.